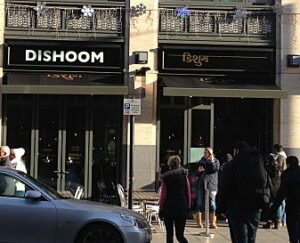 Dishoom is a Bombay Cafe which I had heard about about through the gluten free social media grapevine. What is a Bombay Cafe?? 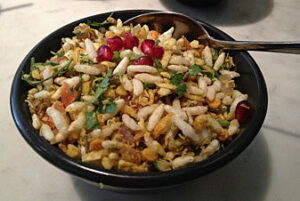 It is a style of cafe that was popular in Bombay in the 60’s that had a Persian influence from their Iranian owners – it gives you a clue as to the sort of food they serve! 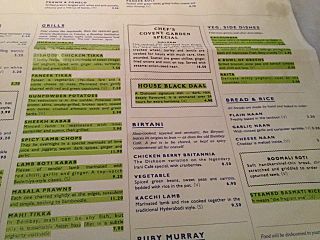 There are four restaurants in central London (details at end), and I have visited the Covent Garden one twice. 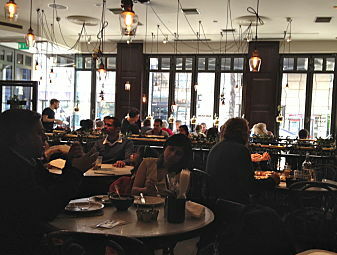 It has a lovely vibe when you enter – interesting decorations and a mixture of booths and normal tables. The gluten free menu is the normal menu with the GF options highlighted – including 8 of the 9 desserts! 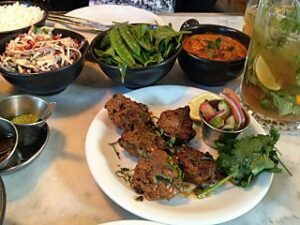 It is mainly the grilled food that is gluten free, but there are also starters, a couple of curries and all four vegetarian side dishes. The friendly wait staff are great at making suggestions on what to order. I tried the Bhel starter/share plate, which is a cold puffed rice dish which I would normally associate with breakfast, but with savoury flavours (bombay mix, tomato, onion, lime, tamarind and mint) it was delicious. 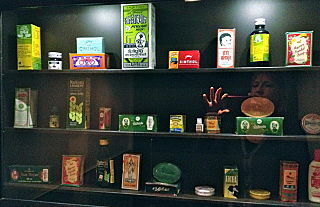 A visit to the toilets is also interesting as all the cubicles are set up like an old fashioned pharmacy. 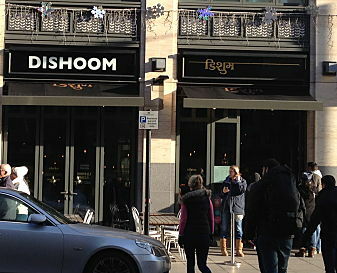 Part of the reason I hadn’t visited Dishoom earlier is because you can’t book for dinner unless you are in a group of 6 or more. As a coeliac, I like to know where I’m going and book ahead and not risk having to find somewhere else if a queue is too long. You can see the queue forming here at lunchtime on a weekend – the queue goes down the street on a weekend night and I would rather go somewhere else than stand in the cold! The other area I think they could improve on is also marking up the drinks that are gluten free on the gluten free menu. There are obvious non gluten free drinks such as beers, but also unusual soft drinks from India that could potentially contain barley (my friend got the Limca lemon drink, a cloudy drink and there is also a cola), but there were no ingredients listed on the label. Overall though, I would recommend a visit if you can get in early and not have to queue! All locations open 7 days – early until late. Closed 25/26 Dec and 1/2 Jan. Also in Edinburgh, Scotland.